Diary / Fairs/Events/Shops / THAT’S PITTICOLOR! 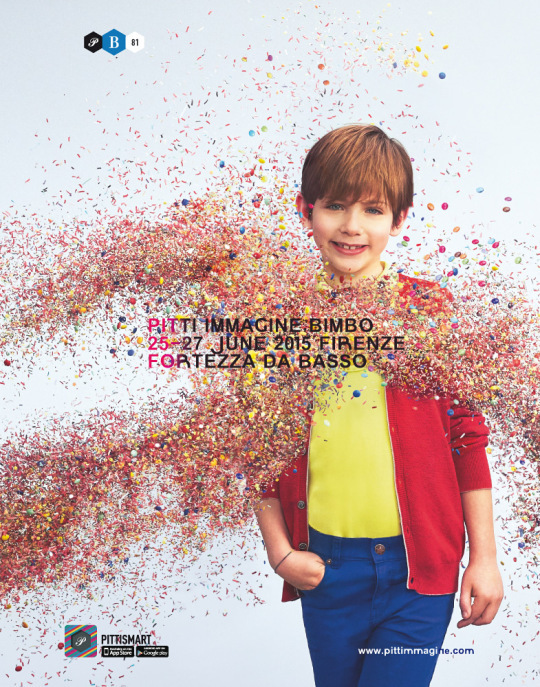 With 437 collections expected, of which 207 from abroad, and over 5,700 buyers and a total of just under 10,000 visitors at the last summer edition, Pitti Bimbo confirms that it is the only trade fair in the world that presents a complete overview of the universe of children’s fashion on a global level as well as an extraordinary platform for presenting new lifestyle trends. And following a trend already experimented in previous seasons, at this edition more than ever, Pitti Bimbo is giving a boost to the world of research: from the avant-garde collections of Apartment to the blend of creativity and experimentation of the brands in the new KidzFIZZ project, to the classical-elegant style of the big names at Pitti Bimbo, to the eco-fair trade labels of EcoEthic, to the sportswear of Sport Generation and the urban atmosphere of SuperStreet all the way to accessories and design for the littlest set. All in a setting that welcomes visitors with a pleasant, entertaining atmosphere, guiding them in constantly new and original ways through the short circuits of fashion, art, sport and design. All of this is presented within a dynamic, constantly evolving geography that greets visitors in a climate that is business-oriented as well as pleasurable and entertaining. 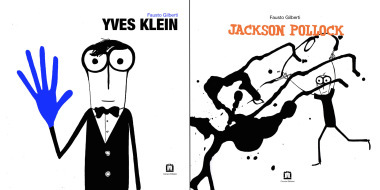 A journey that is always new and original and unusual, passing through the myriad short circuits of fashion, art, sport and design. The new names, special projects and returns at this edition include: Cataleya, Christian Lacroix, Hugo Boss, Ivoy Paris, J&JOY, Karl Lagerfeld, Manila Grace, Pilvi, Stella Jean, The Bonnie Mob, Timberland, Zeybra. 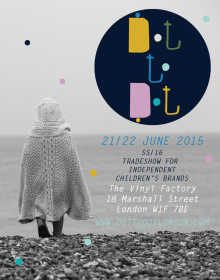 Dot to Dot London, 4th edition!